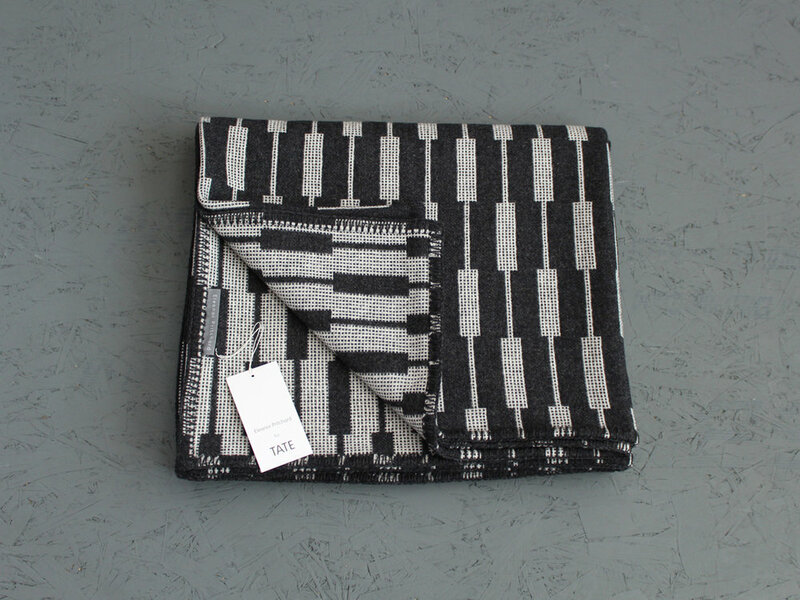 A pair of bespoke blankets and co-ordinated cushions designed and produced by Eleanor Pritchard for Tate. 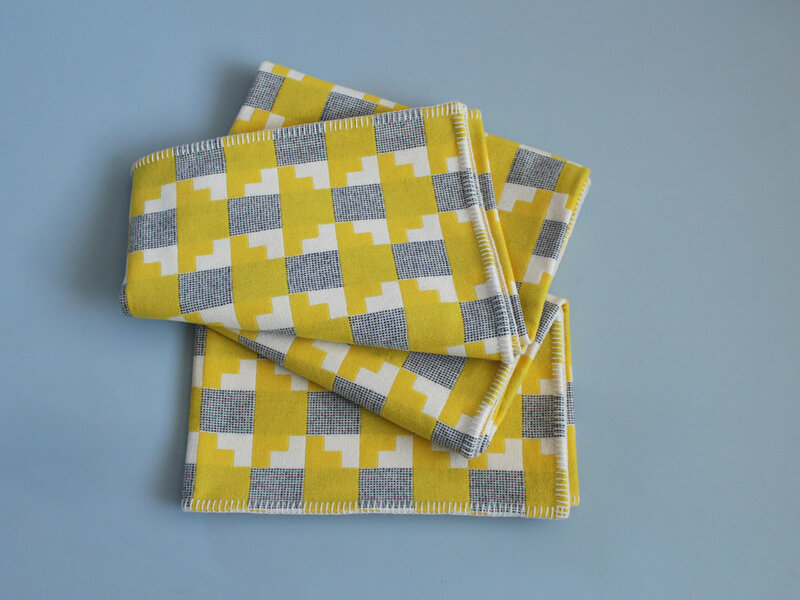 ‘Tate Sunnyside’ is a bold playful design in canary yellow and white with a charcoal end and end detail. 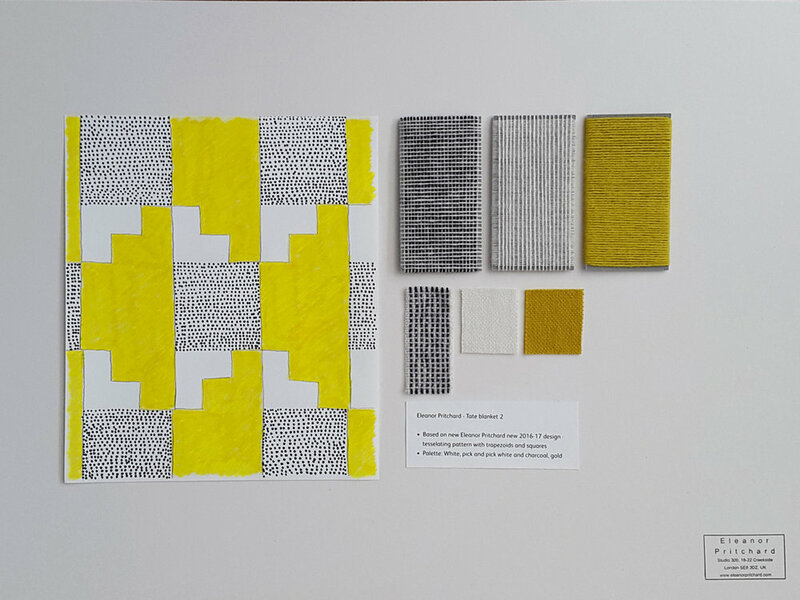 ‘Tate Marker’ is a smart monochrome partner to the Sunnyside and is woven in charcoal with a white pick and pick detail. The blankets and cushions are exclusive to Tate and will be available from late November 2016.